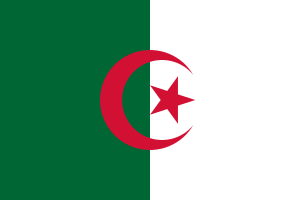 Algeria (ALG) competed at the 1975 Mediterranean Games at home in Algiers, Algeria. 314 algerian competitors take part in this competition and they wons 20 medals. Algeria B v Greece Ol. This article about sports in Algeria is a stub. You can help Wikipedia by expanding it. This article "Algeria at the 1975 Mediterranean Games" is from Wikipedia. The list of its authors can be seen in its historical and/or its subpage Algeria at the 1975 Mediterranean Games/edithistory. Articles copied from Draft Namespace on Wikipedia could be seen on the Draft Namespace of Wikipedia and not main one.